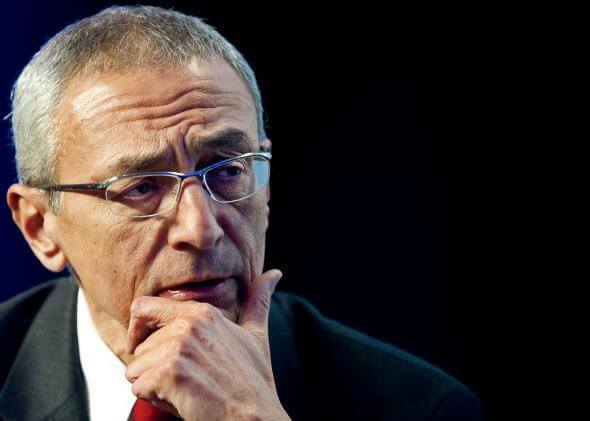 Inside the Beltway, the return of John Podesta to the White House is being seen as a smart pivot—a “reshuffle” that adds intellectual heft but doesn’t demote any of the players who’ve taken a beating recently. Podesta, who was Bill Clinton’s chief of staff during impeachment, has spent most of the Bush and Obama years in the world of think tanks. He led the Center for American Progress in its early years; he was launching a micro-tank that was going to work exclusively on issues of economic equality. And now he’s back in the war room. Left unmentioned, for some reason, is an important factor that might have moved Podesta. Ever since he left the White House, he’s wanted public disclosure of what we know about alien life. His boldest public statement about this occured before he joined CAP, at the National Press Club in 2002. Since then, Podesta has written the foreword for at least one book about UFOs, pronouncing himself a “curious skeptic” of the official story. Think about it: If you learned things when you worked at the White House, wanted to reveal these things, and you unexpectedly got a chance to return to power, you’d have to take it.